Let us make an excursion to the Norwegian men’s team. Martin Fourcade is the four-time overall World Cup winner and the dominator of the last four consecutive years. Perhaps, he is again the hunted when the fight about the big crystal sphere begins. Not even a glimpse into the famous crystal sphere could tell us the future happening in biathlon. The tension is rising day by day and we speculate a little, as it could be like that. And yet there are plenty of biathletes who are ready to slam. Let us make an excursion to the Norwegian men's team. Emil Hegle Svendsen, who is also known SUPER-Svendsen, is the second most successful athlete at the World Championships after Ole Einar Bjoerndalen. Is the Norwegian a man for major events? If one uses the results, then yes. Nevertheless, he has already been able to win the overall World Cup. 2016 could be the year of Super Svendsen. With the home World Championships in Oslo and corresponding successes, he would be crowned "King" of Oslo. How did he lay out his season? It will be interesting if he is fully focused on the World Championships or possibly he starts an attack to win the World Cup overall ranking. 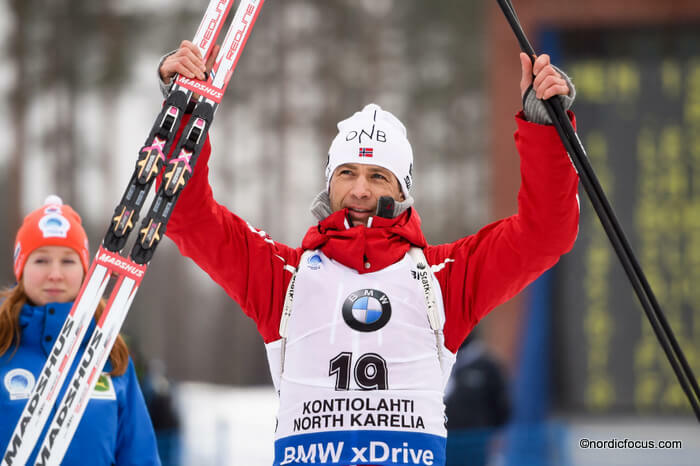 Mr. Biathlon, Ole Einar Bjoerndalen, says of himself that he was easily thwarted by a disease and wants to put his focus on the Holmenkollen races. He is certainly one of these who must never underestimate at major events. The resistance over an entire season has something even missed in recent years. With his 41-years, however, he is still full of surprises. When the two aces Svendsen and Bjoerndalen do not sting, the Boe-brothers are probably very “hot” candidates. They are considered as the most successful brothers in the men's World Cup. The younger of the two, Johannes Thingnes, is every bit as good as his big brother Tarjei. The two boys were in Mission "medal collection" at the last World Championships. They could even reach the podium together in the sprint. The 22-year-old Johannes Thingnes also surprised in the last two years with an incredible consistency over the entire winter. End of January 2013, he made his debut in the World Cup and a year and a few months later, we find him in third place of the overall World Cup ranking. After a fifth place in the last season, he leaves scope for further success. But Tarjei is well known in the fight for the big sphere, 2010/11 he wins the "thing". Unfortunately, he was stopped over the years by repeatedly flu infections. At the end of last season, he could show what he can really perform. Is he perhaps a favorite of the season 2015/2016? If one of the Norwegians should get a title at the upcoming World Championships, that is certainly a milestone in his career. But exactly in this case these athletes would have to be virtually immortal. We imagine, a Norwegian wins in Oslo, he wins gold at the World Championships and he would be honored by King Harald V.
More probably is not possible!